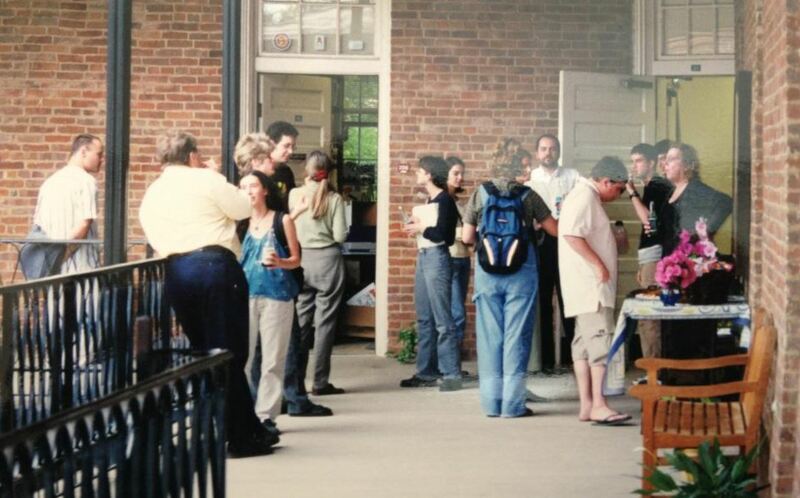 Yes, it’s already time to start thinking about Honors Day 2019 — we’ve come a long way since our first ceremony, back in 2002 (above). Sure, it’s still on the balcony but the food’s a lot better now. And we’re able to recognize quite a few more of our excellent students. This year the Department has its annual event — to which all majors and minors are invited — beginning around noon on Friday, April 5, but the A&S grad ceremony is on Monday, April 1, at 4 pm in the Recital Hall of Moody Music Hall (where Prof. Simmons, our Grad Director, will be representing REL) and the A&S undergrad ceremony is Friday, April 5, at 10 am in the main hall of Moody (with Prof. Altman, our Undergrad Director, making the presentations on behalf of REL). 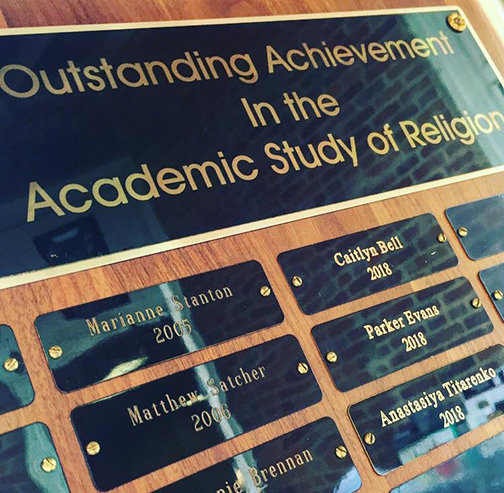 We’ll soon be updating the sites for the Silverstein, Goodwyn, and Outstanding Student awards, with the names of this year’s awardees, so we hope you’ll give them each a pat on the back (high 5? fist bump?) for a job well done. Oh, and one more thing: our Alum Liaison Committee will be attending and presenting a new award (you should consider applying); so we’re hoping more graduates of REL who are in the region will take this chance to start (re-)attending Honors Day in REL — we’d love to see you back on the balcony. This entry was posted in Faculty Blog, Public Events, Relevance of Humanities, Religion in Culture and tagged #honorsday2019, Honors Day by Russell McCutcheon. Bookmark the permalink.